A fast-paced economy is known to provide its citizens with better jobs. But with an exponential rise in education, the employment opportunities have not grown at the same pace. As a result of the same, many unemployed youths are being registered for suicidal behavior. Failing to meet employment expectations after college is being seen as one of the biggest threats to nation’s economy and growth. A lush green home with well-equipped amenities is being projected as the best life for today’s youth, which is leading them to hopelessness and depression in the case of unemployment. There is a rapid growth in therapist consultation to overcome such situations but of all, there seems no solution as yet. A nation thriving for consumerism and materialism as its representatives of the perfect life, there seems no moment of free air that’s free of debt and the resulting pressure. According to JasonFoundation, 5,240 suicide attempts are registered every single day in the nation which clearly indicates the kind of mental stress nation’s youth is going through. The youth suicide statistics are disturbing as suicide is the second biggest cause of death among college youth(age 12-18). There are several measures being resorted to avoiding such tendencies; but it is being seen as a result of increased competition and hence, the pressure on nation’s youth. The biggest challenge faced during unemployment is to stay motivated and away from all the surrounding negativity that sets in. This is possible if you can take up a hobby or do something that you really enjoy. Improving your job-skills simultaneously is an excellent way to prepare yourself for all the future opportunities. Setting a routine and introducing discipline in your daily chores is an excellent way to get rid of the laziness and stay active. It also helps to keep negative thoughts at bay and gives you the power to think positive and stay focused. The major hazard of being unemployed is to not be able to use your time effectively, which if overcome, can result in impressive results and a joyous being. One of the major reasons behind increasing suicidal tendency among nation’s youth is the pressure they face from family and friends. Evaluating people based on their professional achievements should be avoided as it can cause a major disconnect in one’s confidence and self-esteem. It should also be made sure that the close ones refrain from being critical of the unemployed person and try and motivate him to achieve his dreams. This way, with everyone’s support, it becomes easier for the person to put in more efforts and achieve his goals without being fearful of the results. Critical behavior from family is considered to be one of the major reasons behind suicidal tendencies and change in behavior can provide a lot of support. It can also help them stay positive and not feel neglected. The same should be taught in schools and practiced at home to ensure no life is lost due to unemployment. Another effective way to avoid negative thoughts is to maintain a closed circle. Staying close to your loved ones without letting any outer people interfere in your personal life, or persuade you into something wrong should also be practiced. This way, your dear ones are aware of your emotional and mental situation and can provide you with emotional and financial support in times of need. Staying away from people who make you think badly of yourself will also help you minimize the surrounding negativity and move ahead with increased motivation. Getting rid of habits like drinking, smoking could also help you stay calm and relaxed without pressurizing yourself much. Our family is the one that stands by us in the good and the bad times. It is the family that holds our hand and keeps us from falling by providing us the strength to move ahead in life with a high-head. It is important for today’s youth to stay close to their family and keep them updated about all the ongoing events. Hence, whenever there is a situation where you need support, you will never find yourself fighting along with it. According to a study, being with family also reduces stress and anxiety, key factors for developing suicidal tendency. The emotional support also makes us feel safe and protected. It also keeps you wary of unwanted people and helps you stay strong about yourself. This way, you can not only treat the ailment but also develop a bond with your family. It is advisable for parents to take some time out for their children and stay close to them. In a world where technology runs humans, it is difficult to figure out emotions from faces hidden behind the messages exchanged. Hence, pay a visit to your children on a regular basis and make sure you make them feel at home and safe. The essence of life is to be happy. These steps will not only help you create a better life for yourself but also make you a better human being. With patience and continuous efforts, you can achieve what you want. 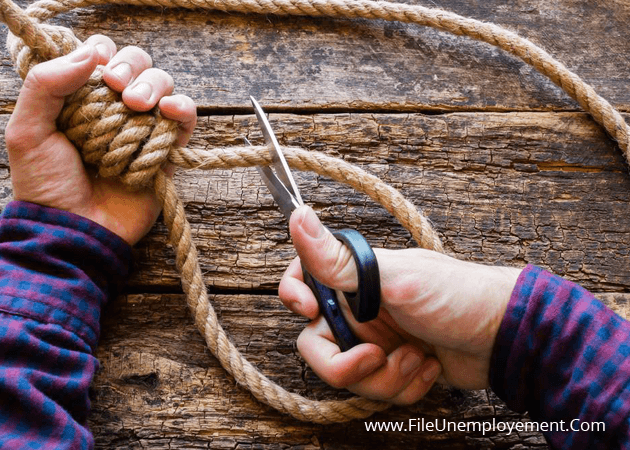 Getting rid of those suicidal thoughts is difficult but with dedication and hard-work, you can live a life you desire, which is free of fear and full of life.